Sumatra Takengon Grade 1 is sourced from the Jagong Mill and surrounding family-owned farms located in the Takengon and Atu Lintang coffee region of Aceh province on the island of Sumatra, Indonesia. Irham Junus owns and operates the Jagong Mill with his son, Andi and daughter, Ina. The Junus family has focused on meticulous ripe cherry selection resulting in something truly unique in Sumatra. 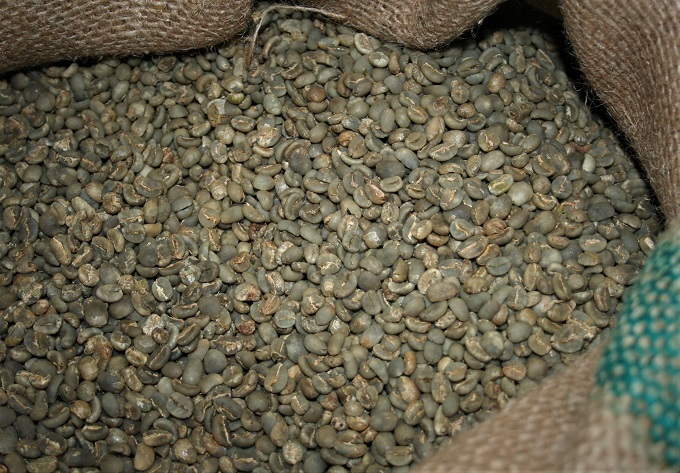 The Junus family also has full control of the processing and milling right up to the final export stage, avoiding the long and convoluted supply lines that can compromise Sumatran quality. A very nice fresh crop arrival. Full bodied with a creamy mouthfeel, low acidity and spot on tastes from a traditional Mandheling Sumatra; pete moss, smoky, chocolaty and strong. A clean enough cup to get a decent medium roast, gives a smoother mouthfeel and has a bit of sweetness upfront, darker roasts will turn thicker but also edgier and promote the smokier side of the profile. As with most Sumatra coffees, the processing promotes a couple different shades in the roaster. It is normal to see some beans lighter than others. Make sure if shooting for the medium roasts, that you judge it from the lighter looking beans, important to get them all through first crack. When roasting darker, judge it by the darker looking beans for if they get too dark or burn, gets a little ashy tone in the cup.